When you download a specific file type usually Windows 10, 8.1, as well as other versions of Windows operating systems, will open them with the default application you have set in the system but you can find out how to change the downloaded document format from a default state to any application you want including WordPad just in a few minutes by following the lines below. 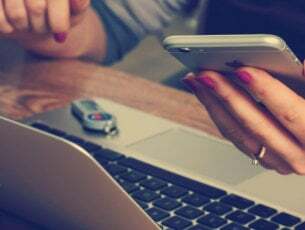 You will learn in this article not only how to change a default app in Windows to open a document in WordPad but for other types of files as well like: songs, movies or photos. 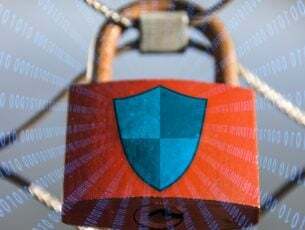 As a heads up on this tutorial is the fact that the changes you make to your default documents opening after you download them will only remain in the account of Windows 8.1 you are using. So if you log in with another user account these settings will not apply to it. How to choose WordPad to open your downloaded documents in Windows 10, 8.1? You should now have a menu in front of you. Left click or tap on the “Settings” feature you have in that menu. In the “Change PC settings” feature left-click or tap on the “Search and apps” feature. Left click or tap on the “Defaults” button. 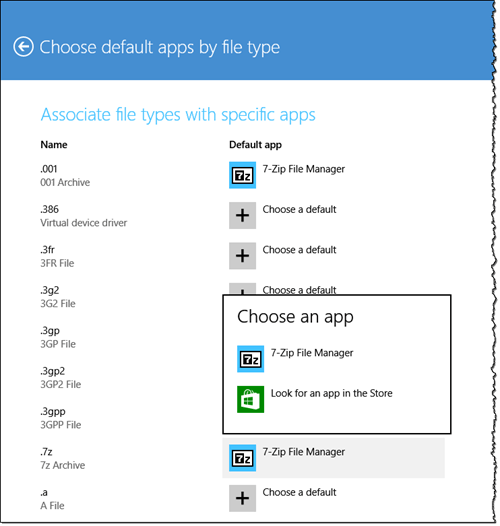 Left click or tap on the “Choose default apps by file type”. Left click or tap on the application you currently use as default. Note: If you do not have an application by default you have to left-click or tap on the “Choose a default” feature. Now you only have to select another default application you wish to open your text, photos, movies or music extensions with. 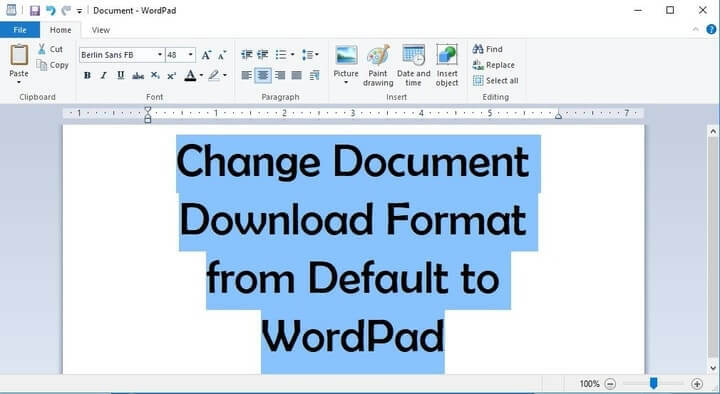 In this case, you can select the “WordPad” app for all your text documents therefore when you download and open a document it will automatically go to your WordPad. Note: You need to have the apps installed on your Windows 8.1 computer in order to set them as defaults. This is all you have to do in order to set your WordPad application as default in your Windows 8.1 operating system. If you have any issues along the way in this article you can write us a couple of rows below in the comments section of the page and we will help you further with this subject.